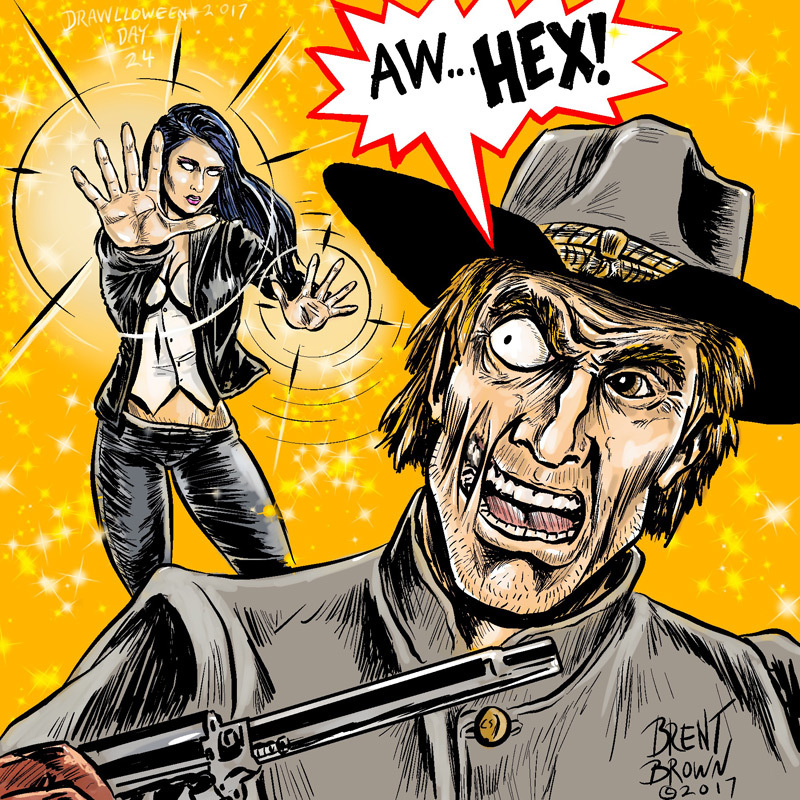 Going as literal as possible, once again, I immediately thought of DC Comics’ own weird western star, Jonah Hex. However, to keep the Halloween witchcraft theme that was surely intended, I added an appropriate DC occult character to be hexing him. In this case, Zatanna and her backwards speaking magic and also in one of her slightly less objectifying outfits in keeping with the seriousness of this event.